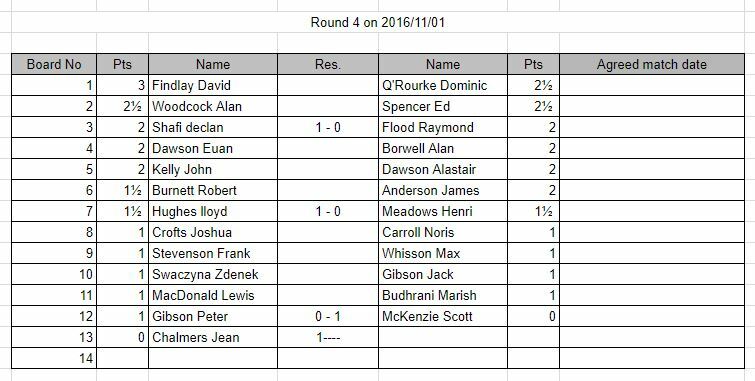 Round 4 of the club championship has started and games must be played by the 28th March. 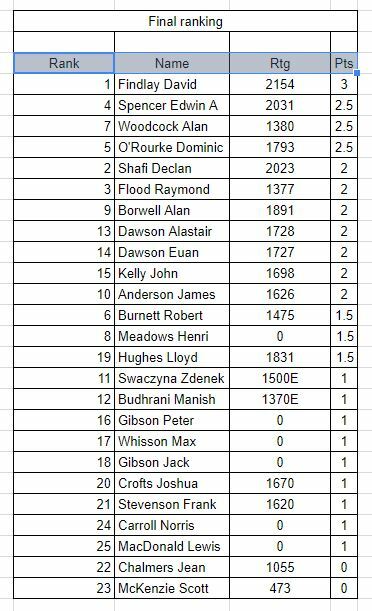 After round 3 there is 4 players in contention for the championship David Findlay on 3, Ed Spencer, Dominic O’Rourke and Alan Woodcock all on 2.5. Alan is also the highest player in the under 1500 section.